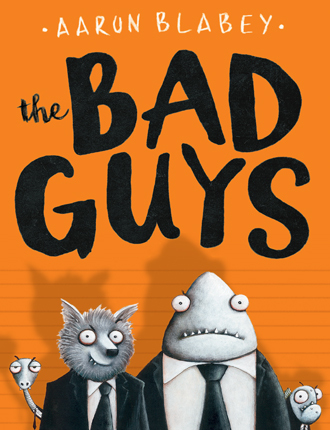 The Bad Guys, Mr. Wolf, Mr. Shark, Mr. Snake, and Mr. Piranha, want to be heroes, and they decide that the way to do it is free the 200 dogs in the city dog pound--but their plan soon goes awry. School Library Journal - 11/01/2016 Gr 2–4—Be prepared to hear laughter, and lots of it, as students plunge into this graphic novel hybrid. The story opens with Mr. Wolf speaking directly to the audience. Despite his "big, pointy teeth," his "razor-sharp claws," and his suspicious rap sheet filled with familiar "Three Little Pigs" and "Little Red Riding Hood" references, he implores readers to believe he is not a bad guy. 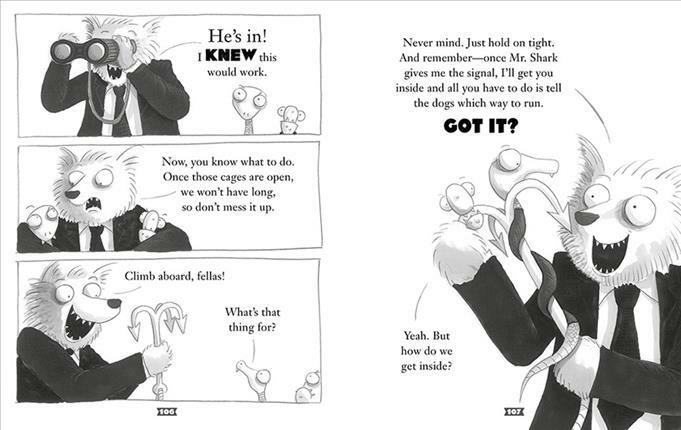 Mr. Wolf is on a quest to persuade his carnivorous friends to be part of the Good Guys Club. Their first mission is to rescue a cat from a tree, and even though his friends think Mr. Wolf has lost his mind, they agree to help. Illustrations exaggerate the animals' sharp teeth and wide smiles as they stare up at the terrified kitty. After a few bumps in the plan (namely, Mr. Snake eating Mr. Piranha), an accidental success ensues and they move on to their grand plan of freeing 200 dogs from the pound. Expressive illustrations and typography will captivate budding readers' attention and aid in comprehension. Witty and slapstick humor coupled with menacing animal faces on a bright orange cover ensures this book will appeal to a wide audience. VERDICT Reminiscent of Aaron Reynolds's Carnivores and Jon Scieszka's The True Story of the Three Little Pigs, this humorous title is highly recommended for all libraries.—Beth Parmer, New Albany Elementary Library, OH - Copyright 2016 Publishers Weekly, Library Journal and/or School Library Journal used with permission.